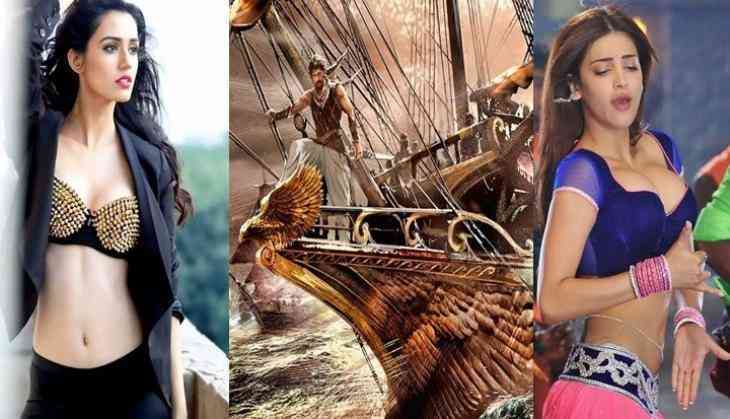 It's known that Telugu actress-turned-Bollywood actress Disha Patani has replaced popular actress and Kamal Haasan's daughter Shruti Haasan as the female lead of the much awaited Tamil film Sangamithra. The film, directed by actor turned director Sundar C stars an ensemble cast including Arya, Jayam Ravi and Sathyaraj along with Disha Patani. Produced by Sri Thenandal Films, Sangamithra is said to be bankrolled under a whopping budget of Rs. 350 crore. In a recent media interaction, Disha Patani stated that it's unfair to use the sentence 'Disha Patani replaced Shruti Haasan' as the latter is much established star than her. “I did not replace Shruti Haasan. I don’t know what happened. I didn’t even ask them, honestly. I am no one to replace Shruti Haasan. She is much bigger and much experienced than me. I am relatively a newcomer. I am only a few films old. I am not anyone to replace anyone. But I don’t know what happened. You should ask the director of the film,” Disha Patani said. Shruti Haasan was initially signed as the female lead of Sangamithra. However she opted out and claimed that she was not given a bound script. “Shruti has had to unfortunately take a call not to be part of Sangamithra. Knowing it was a massive undertaking and long commitment spanning over 2 years, she knew the importance of her training, a comprehensive script and proper date calendar. She hired and started training with one of the best combat trainers April onwards to make sure she was ready in time for shoot. Despite her enthusiasm and commitment to Sangamithra, she has had to give the film a miss since she had not received a proper bound script nor a proper date calendar. She is currently caught up with promoting her film Behen Hogi Teri, prep for Sabash Naidu and her musical associations,” read a statement issued from Shruti's end.